Have you ever looked at a dead fish and thought, “Now there’s a technological innovation waiting to happen”? I’m guessing you haven’t, because honestly, who would. Physicists Gosh and Dr. Dipankar Mandal in India thought otherwise and created a battery-free generator out of fish scales. The clear, flexible generator can harvest several types of ambient mechanical energies from small movements such as body motions, sound vibrations and wind flow,then convert it into electrical power. Large quantities of fish are consumed in India daily, which generates a huge amount of fish biowaste. The researchers from the Organic Nano-Piezoelectric Device Laboratory at Jadavpur University found that fish scales contain collagen fibers that have a piezoelectric property (physical stress on crystals and ceramics): an electric charge is generated in response to applying a mechanical stress. They sought to harness this property to fabricate a bio-piezoelectric nanogenerator. 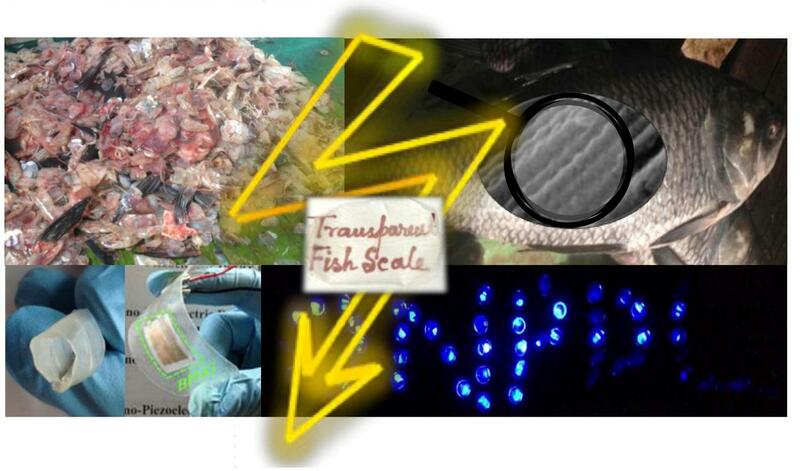 They first collected hard, raw fish scales from a fish processing market, then used a demineralization process to make them transparent and flexible, explained assistant professor Dipankar Mandal. 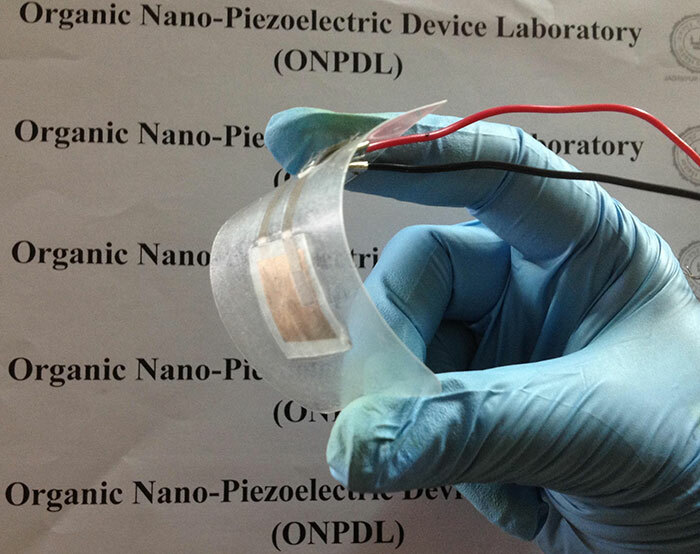 “We were able to make a bio-piezoelectric nanogenerator a.k.a. energy harvester with gold electrodes on both sides, and then laminated it,” Mandal said. Repeatedly touching the bio-piezoelectric nanogenerator with a finger and gentle hand slaps, the researchers used four of their generators to turn on 77 green and blue LEDs (Light Emitting Diodes). 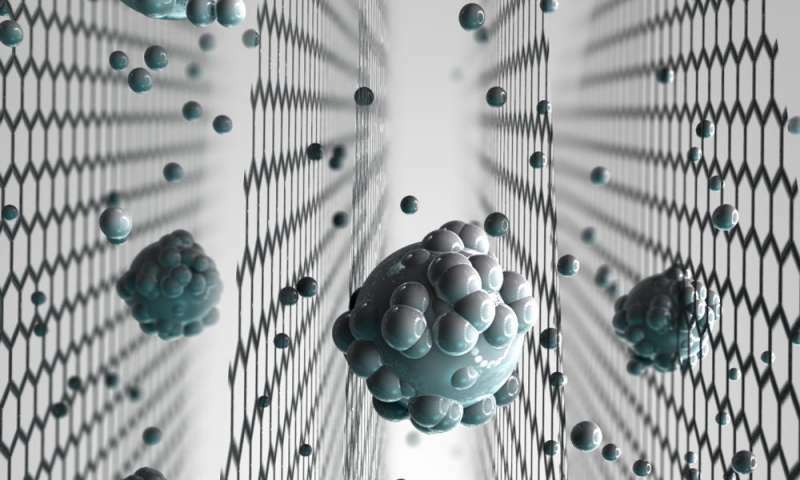 The group’s work could potentially be for use in transparent electronics, biocompatible and biodegradable electronics, edible electronics, self-powered implantable medical devices, surgeries, e-healthcare monitoring, as well as in vitro and in vivo diagnostics. Gosh and Mandal findings have recently been published in the journal Applied Physics Letters.